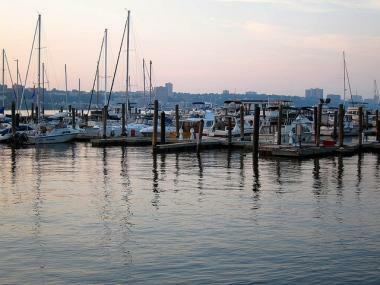 UPPER WEST SIDE — A city proposal to hike fees at the 79th Street Boat Basin is making waves in the nautical community. 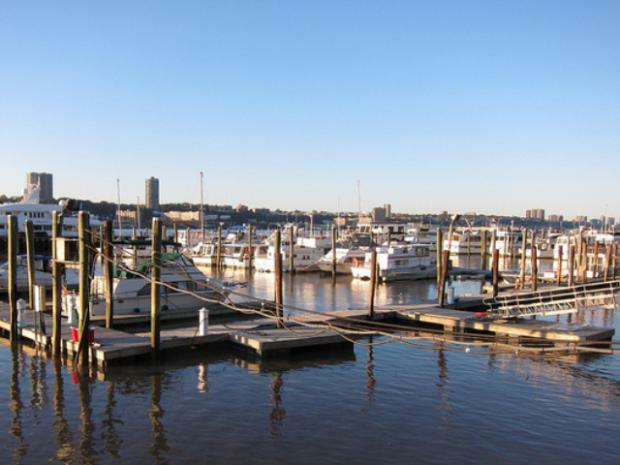 Parks Department officials recently said they want to increase the dockage fees boat owners pay to park their vessels at the busy Hudson River marina. The dockage fees, which are based on the size of the boat, would rise 11 percent (to $120 from $108 per foot) during the six-month summer season, and 19 percent (to $105 from $88 per foot) for the six-month winter season. The Boat Basin, which has offered seaside access to the Upper West Side since the 1930s, has space for just over 100 boats, roughly 40 of which are occupied by residents who live aboard their vessels. Dockage fees aren't rent — they're paid on top of boat owners' mortgages and maintenance costs, a Boat Basin resident told DNAinfo. The Parks Department wants to make several changes to how it operates the 79th Street Boat Basin, including raising fees paid by boat owners. A Parks Department spokesman said the fee hike is needed to help pay for the marina's operating costs, including repairs and maintenance. "Parks Department marinas have benefitted from considerable capital improvements in recent years including significant infrastructure upgrades at the 79th Street Boat Basin," Parks spokesman Phil Abramson wrote in an email. "(F)ees have not been increased over the last four years and will remain far lower than the rates charged at privately owned marinas," he added. Members of the marina declined to comment on the situation because they hope to negotiate with the Parks Department over the proposed fee hike. But at a recent public hearing, about two dozen Boat Basin residents and their supporters spoke out against the fee increase, calling the proposal unfair because the city doesn't plan to raise fees for boats that dock temporarily at the marina. Some of those temporary visitors include luxury 150-foot "mega-yachts" owned by wealthy out-of-towners, said City Councilwoman Gale Brewer, who represents the Upper West Side and testified on behalf of Boat Basin residents at the hearing. Brewer, who grew up on a boat and learned to sail when she was 4 years old, said boats that dock temporarily should be asked to shoulder some of the burden of the fee hike. In her testimony, Brewer called the Boat Basin "unquestionably charming" and said its residents are "a distinctly West Side community that includes many writers and artists, and they represent a rare bastion of those whose character and independent spirit are a human asset that we should strive to preserve, but regrettably seldom do." Mark Diller, chairman of Community Board 7, also spoke at the public hearing, though he noted that the board hasn't taken an official position on the proposed fee increase. "You think of people who live on boats as being the 1 percent, but really they're part of the economic diversity of the Upper West Side," Diller told DNAinfo, adding that Boat Basin residents "work in our public school PTAs, shop in our small businesses and add to the mix that makes up the Upper West Side." The Parks Department will review the public comments and decide whether to hold more hearings on the issue, or simply approve the proposed fee hike "as is," Abramson added in an email.